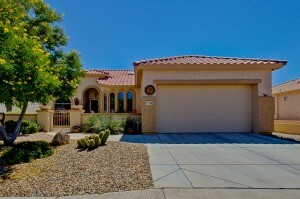 Beautiful Tapatio home in the sought after 55+ community of Arizona Traditions. Sitting on a prime lot with spectacular views of the golf course this home truly has EVERYTHING you are looking for: GRANITE countertops, tile backsplash, island, open concept kitchen, breakfast bar, 18” tile, 10′ ceilings, TONS of natural light, den that can easily convert to a third bedroom, 2 car garage with cabinets, large courtyard, skylights, plantation shutters, ample walk-in closet, SPARKLING POOL, and the list goes on! Don’t miss out on this charming home with true pride of ownership! Old Republic Home Warranty provided. 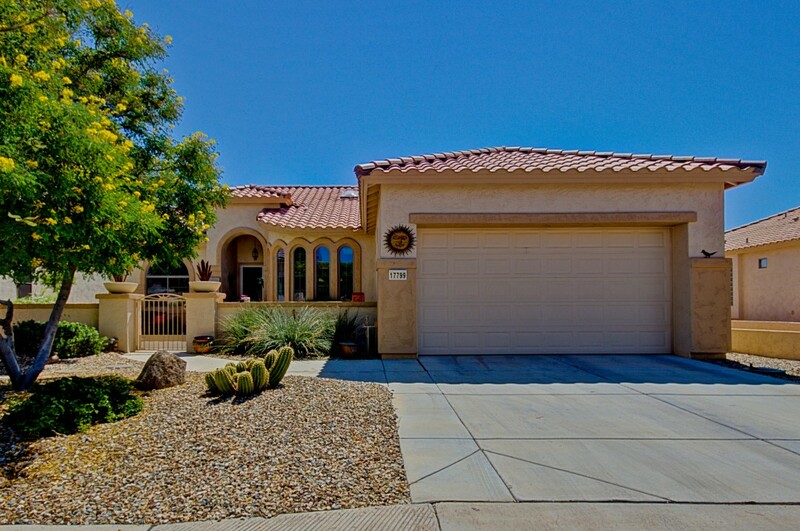 This home is unlike any other and offers amazing upgrades and features around every corner! You will want to see this to believe it! Want to learn more about this gorgeous home? Click Here! Want to watch a Virtual Tour on YouTube? Click Here!